Thirty-two Premier League and English Football League (EFL) clubs have agreed to be ‘twinned’ with their local prisons to help tackle high rates of re-offending in the UK. Launched by former Arsenal vice-chairman David Dein in October, the ‘Twinning Project’ aims to bring together professional clubs and prisons across the UK to use football as a catalyst and provide real opportunities to better prepare prisoners for release and finding employment. Through the initiative the clubs, in conjunction with other football bodies, will work with PE officers from the Prison Service to deliver coaching, stewarding, lifestyle skills, and other employability-based qualifications to prisoners to help them prepare for release. Additionally, the match officials’ body PGMOL will deliver refereeing courses. Such qualifications can provide a vital route to paid employment which is proven as a key factor in reducing re-offending and helping prisoners to rebuild their lives. The scheme will be open to men, women and young offenders in custody. The first 32 clubs are: Aston Villa, AFC Bournemouth, Brentford, Brighton & Hove Albion, Bristol Rovers, Bury, Cardiff City, Charlton Athletic, Chelsea, Doncaster Rovers, Everton, Exeter City, Fulham, Leeds United, Leicester City, Lincoln City, Liverpool, Manchester City, Millwall, Newcastle United, Notts County, Oldham Athletic, Plymouth Argyle, QPR, Rochdale, Rotherham United, Southampton, Stoke City, Tottenham Hotspur, Tranmere Rovers and West Ham United. Several clubs already have programmes with prisons in place, which will now be incorporated into the Twinning Project, which is in the process of establishing itself as a charitable foundation. It is backed by the Government and the UK’s leading football bodies, including the Football Association, Premier League, EFL, PFA (Professional Footballers’ Association), PGMOL and LMA (League Managers’ Association). 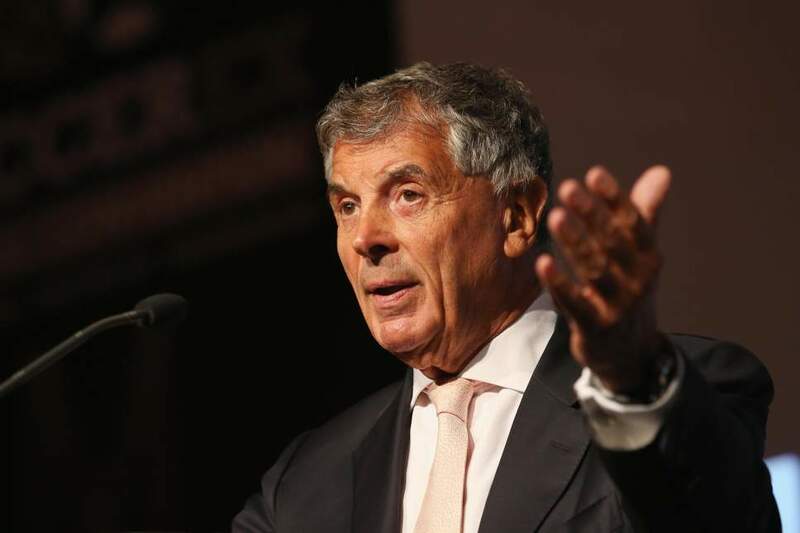 David Dein said: “Since its launch, the Twinning Project has seen huge interest and enthusiasm from across the UK football family and Prison Service. “We have also had interest from international clubs and prisons, as well as other sporting organisations, who wish to replicate what we are doing. It is testament to the vision and purpose of the Twinning Project that such a large group of football clubs have agreed to participate in trying to tackle a difficult problem in our society. He added: “Among the first 32 clubs, a number of their community departments are already doing great work with their local prisons while others will be starting for the first time. For more information about the Twinning Project, visit www.twinningproject.co.uk.